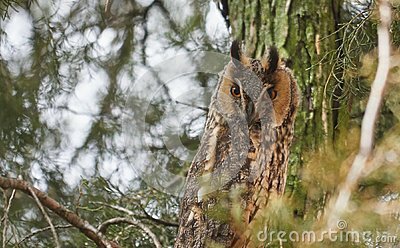 Long eared owl also known as Asio otus with characteristic eye disks. Long eared owl also known as Asio otus with characteristic eye disks. His main colour is predominant brownish. The family stigidae prefered diet is rodents wich they swallow.